On December 28, 2012, the Chinese government approved a set of new net control laws that would make it compulsory for internet intermediaries such as Internet Service Providers (ISP) and Online Service Providers (OSP) to enforce users’ real name registration. In South Korea, a similar online real name registration policy has been in place since 2005, but with little success and eventual failures. In this post, we will examine the South Korean experiment and see the lessons Chinese netizens can learn from it. The most controversial element in the legislation is the fact it not only requires users to provide their real names but also their resident registration numbers (“주민등록번호” in Korean). Resident registration numbers are a legacy of the troubled past of South Korea and bring up bad memories. They were first introduced in the 1970s, during the authoritarian rule of Park Jung Hee, officially to help detect North Korean spies. Many internet users think these registration numbers, while endangering their privacy, are used today to justify an Orwellian control of the internet. The system is also vulnerable. Personal information of South Korean internet users was leaked several times onto the Internet. 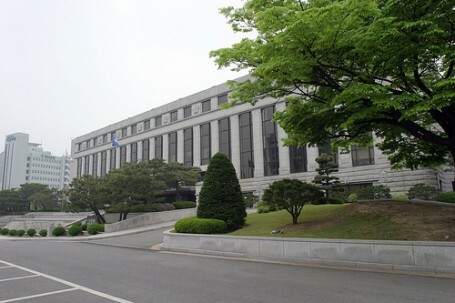 On August 23, 2012, the law was challenged before the South Korean Constitutional Court which ruled that the “Real Name Verification Law” (legislated as part of Information and Communication Network Law) was unconstitutional. The court considered that the law hinders online freedom of expression, harms privacy protection and is being challenged by the emergence of foreign and new online services that are not subject to the regulation, such as YouTube and Twitter. Jeonghwan Lee, a prominent South Korean independent journalist, hailed [ko] the court decision. He lamented, however, that much harm has been caused by the law already. He blamed it on what he called an “ill-conceived state decision inspired by our tormented and tortured past” (오욕과 삽질의 역사 in Korean). Since China announced it will enforce a real name registration policy, reactions from South Korean netizens were generally negative. They have experienced first-hand the “side-effects” of such a policy and realized long ago that its promises were hollow. Some of them also acknowledged that the new Chinese regulations might have a different effect as the two countries differ economically and politically. This act forces “all net users to register their names to use online services”. It means, in other words, that the Chinese real name verification system will be enforced on foreign firms as well. In South Korea, the Constitutional Court killed the five-year old regulation which started in 2007. As The New York Times pointed out “online anonymous expression is not only a matter of personal privacy protection. As shown from the case of the Arab Spring, it is indispensable for political dissenters expressing opposing ideas[, and also] to whistle-blowers revealing the inside information of companies.” Maintaining an online anonymous identity is directly associated with freedom of expression. It is not only an ideological question, as we have witnessed when the public was shocked to discover Auction and Nate's accumulated users’ personal information leaked following a massive hacking attack. Nevertheless, China will succeed in cementing the net control via real name [registration] policy which is quite different from that of the South Korean government. In South Korea, many users can freely use foreign services and democracy has been institutionalized to some extent. Thus real name verification from the beginning was very fragile. However in China, foreign services that support free expression like Google and Wikipedia are totally banned. Chinese users are only using the domestic Internet firms which show loyalty towards the Chinese government. So the Chinese regime can more comfortably enforce real name registration policy, even if serious privacy crises occur, as the government can always conceal its existence at all. [In China], those who are in favor of tightening net control boast that “South Korea, a leading nation in the Internet, already has employed a real name registration policy”. The Chinese government regards the diversity of opinions blossoming over the internet as a challenge to the regime's security. [As the old saying goes] “the collective mind of citizens is the heavenly sovereignty”. It is now expressed through the Internet […] Currently China has more than 4 million net users and it has bee rapidly growing. The Internet public sphere somehow replaced the malfunctioning Chinese media and played the role of a watchdog… It is therefore understandable that the Chinese government fears the Internet. Under this circumstance, it is unlikely that the Chinese government will lighten its grip on the net. […] If you are considering moving your business into China, you need to set up a new business strategy that is adaptable to Chinese government-led market and must wait until the risk imposed by Chinese net control and surveillance is softened.